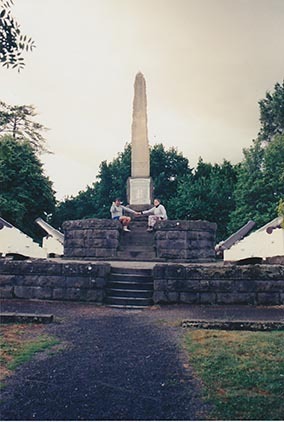 Dr Jack Ford and his wife, Brenda, visited the site of Eureka in 1993. 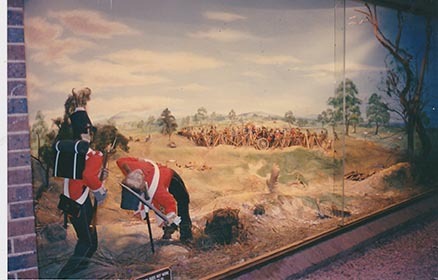 Jack took five photographs including some of the diorama, and these are his thoughts during the visit. “Unfortunately, I did not take photographs of the building that housed the exhibit, probably because I thought just how sad and pathetic the entire memorial display looked. It comprised a reconstructed slab hut and, nearby, a partly-rebuilt fence that represented the hastily-built Eureka Stockade. 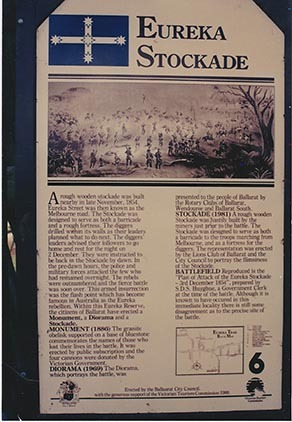 The signage that detailed the events surrounding the Eureka Stockade was affixed to the exterior wall beside the entrance to the interior diorama. In the photograph of that sign, you can see the dark, bare timber colour of the slab wood that held the signage plus (on the left side) one of the numerous holes in the slab walls. This made the display very cold and draughty in its interior. 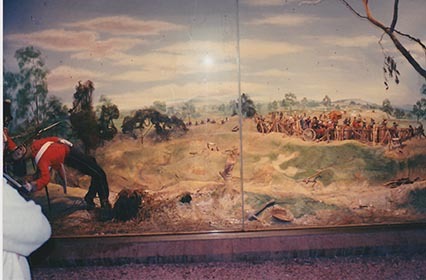 After you exited the diorama’s slab hut, you could walk across to a partial representation of the stockade’s fortifications, complete with two wagon wheels. This space was also gravelled to distinguish it from the rest of the green-lawn park. 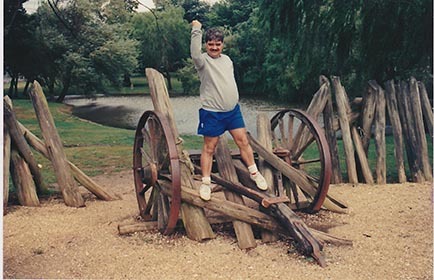 This page was last edited on 27 September 2018, at 09:22.